Digital code or cd key of Silent Hill Homecoming, downloadable from Steam platform. 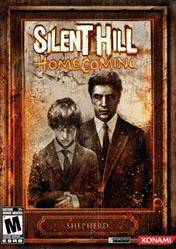 Silent Hill Homecoming is the next installment of one of the most famous horror titles in the world of video games. In Silent Hill Homecoming, we will embody Alex Shepherd, and we will investigate the sudden disappearance of his brother. As expected, we face the darkest horrors as we fight for our survival. One of the highlights of Silent Hill Homecoming will be the puzzles, treacherous and deadly, in order to uncover the dark secrets of the cursed town of Silent Hill. Another strong point of the title, is a great band sound, composed by Akira Yamaoka, which immerses us in this atmosphere of psychological terror only suitable for the strongest players. One of my favorite series. Combat system is a little different from other silent hill, In addition the story line is better then silent hill 4. Have You Played… Silent Hill: Homecoming?